U.S President Donald Trump has today pardoned Jack Johnson, the first black heavyweight champion, who was wrongly convicted in 1913 of transporting a white woman across State lines. Decades after Johnson was convicted under the Mann Act, his case drew significant attention, as a gross miscarriage of justice and a symbol of the depths of racism in the American justice system back then. Johnson was convicted in 1913 of violating the Mann Act on charges that he transported a white woman across state lines “for immoral purposes.” Johnson was sentenced to a year in prison, but he fled the country for several years, returning in 1920 to serve his sentence. 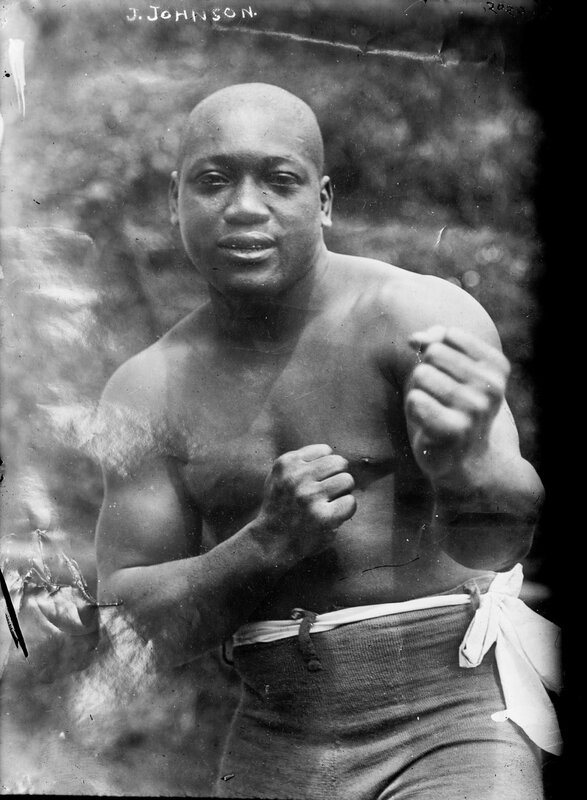 Johnson, ruled the heavyweight division from 1908 to 1915. A proud rather than humble man, he drew vitriolic hatred from certain prejudiced spheres throughout his life, and many black citizens were lynched, after he defeated “Great White Hopes” Tommy Burns and James J. Jeffries. It wasn’t until 1915 when an out of shape and ageing, Johnson, known as “The Galveston Giant,” finally lost to the latest “White Hope” Jess Willard, who stopped him in the 26th-round during a marathon sweltering fight in Havana, Cuba. Johnson insisted to his dying day that he’d taken a dive. Heavyweight kings Lennox Lewis and Deontay Wilder, Sylvester Stallone, WBC President Mauricio Sulaiman, Scholas Ocurrentes Mexico President Hector Sulaiman, among others, were received at the White House by President Donald Trump, for this historic occasion on which justice was finally done, and seen to be done. President Donald Trump is known for his fondness for Boxing. Some years ago, he promoted a number of fights in association with Don King. One of those cards starred by Mike Tyson against Michael Spinks.